When I ask my 7-year-old what she wants to be when she grows up, she says she wants to be a DJ, an artist, and a mom. When I ask my 6-year-old, she says she wants to be a police officer on Mondays and Tuesdays, an astronaut on Wednesdays and Thursdays, and a dentist on Fridays in addition to being a mom all days. When I ask my 4-year-old, he asks if he can have a granola bar. Maybe he wants to be a chef or food critic? I knew from an early age that I wanted to be a mom, a teacher, and a writer. My third-grade teacher was one of my favorites in elementary school and watching her made me want to teach too. Then I had a teacher in eighth grade who encouraged me in my writing and that fueled me to write lots of poems and short stories. I did internships with preschool and fifth grade to see what age I preferred to teach. I started college working towards a degree in Education, but the more I continued in the degree, the more I knew I didn’t want to teach – at least not young kids. At that point, I had no idea what I wanted to do so I stuck with the education field but shifted gears towards the administrative side. When I graduated from Moody Bible Institute in 1999, I found a job at a small company that produced continuing education materials for adults. I was thankful to have found a niche to use my degree. I also got to do some writing. Five years later I had finished my Masters and was hired at Awana Clubs Int’l where I began as an editor and later became a program designer. In that role, I got to write lessons and resources for teachers as well as contribute to developing materials for kids. Since then I’ve been able to work from home, writing, editing, and, since 2013, teaching. I’m an online professor for Moody Distance Learning where I teach Research Writing and College Writing. And for years now, I’ve been freelancing as a writer and editor. My parents were cleaning out their attic in December and sent me a picture of a poem they found. It was a week when I was grading a slew of papers and trying to get final grades posted. Stress was high and I struggled to find the energy to keep going. But the picture drew immediate happy tears. My dad found a poem I had written around Christmas in second grade and while the poem won’t win any awards, it was an affirmation. I’m doing exactly what I should be doing. I smile when I think about where I am as a 41-yr-old. I’m doing what my second-grade young self wanted to do. First, I’m a mom to three precious kids and I get to be home (even though there are days where a quiet office to work in sounds glorious). Second, I’m very fortunate that I can work from home because we still need my income. Third, I can’t believe that I get to do work that I love! I’m a teacher but instead of teaching younger kids, I teach college students. And I get to write articles, blogs, and curriculum. But between third grade and now, there have also been maaaaaany struggles and difficult times. Maybe you’re doing what you dreamed about doing when you were a kid. Maybe you’re discouraged with where you are. Either way, 1 Thessalonians tells us to give thanks: “In everything give thanks; for this is God’s will for you in Christ Jesus.” Notice it doesn’t say to give thanks FOR everything. It says IN everything. I need to remember to be thankful during the frustrating times and the exciting times. I need to be thankful regardless of my circumstances. But that’s not always easy. I’ve had frustrating jobs and fertility struggles and I haven’t always been gracious or the first to give thanks in those situations. But during a rough week of grading, God encouraged me – the poem my parents found was a reminder to give thanks in everything. Will I always be thankful in everything now? Nope. But I’m going to frame that poem so I’ll have something tangible to look at when I need to be reminded to be thankful! Posted on February 8, 2019 by Tami Stevenson and filed under Building Your Faith and tagged encouragement. We have several options of how to utilize and respond to social media. This post is not going to tell you what you should be doing or posting. Rather, I want to encourage a perspective shift you may need--like me--as you scroll. I promise, I have no agenda here. I’m not on a soap box trying to get you to change any habits. I’m hoping to offer freedom if you also struggle with envy at times. One night as I looked at my Facebook feed, I noticed how discouraged I felt about the trials my family was going through. It seemed like we were the only ones being hit by the storms of life. Abruptly, I opened up my camera roll and, instead of focusing on everyone else’s highlights, I looked at my own. Pictures of my baby girl, surrounded by three adoring brothers. No one even looks like they are sick. A kitchen that is gorgeous and just how I wanted it--and you can’t even tell it’s still not finished. A baby sitting atop her sweet pink play kitchen (given to us by a dear friend)… and I didn’t think about how much attention it takes to keep her safe right now. Boys that destroy playrooms because a desire for construction overtakes them… and all I saw was their precious, joyful smiles. A selfie with my boys was delightful if I didn’t focus on the fact that their dad was too exhausted to join in on the family adventure day. A children’s author we got to go see for free because our local library sponsored the event… and you can’t even tell my son’s stomach was upset due to food allergies. Three boys teaching their sister how to sing “Jesus Loves Me” while sitting in a box. A box someone (we still can’t find out who!!!) sent us with a giant, stuffed golden retriever. And it doesn’t matter that my son is severely allergic to dogs because someone made it happen with this gift. Three mighty men walking through a nature preserve and pretending it is Narnia and Aslan is on the move. No one would know we didn’t get through as much homeschool as I wanted that day, and I spent way more time than I wanted removing the mud from their shoes when we arrived home. Boys surrounded by blankets and couch cushions and a destroyed living room that led to us hopping on lily pads to 100. Amazing Lego displays at the library. No evidence we had to rush out because a screaming little girl had had it. Eggs yolks that naturally formed a smile. The whole family in coordinating costumes. PIctures of my little girl finding the dark chocolate stash… and then her daddy’s coffee pot! A half-finished boys bedroom that will be exactly what I was hoping for when it’s finished. Boys covered in mud because they can make anything fun… and this picture holds no evidence of my needing to scrub the four rooms they tracked the mud in through the house. A video of my kids singing worship at the top of their lungs through a locked bathroom door. When I slow down to look at my life through these snapshots, I am overtaken by gratitude. The moments of my day strung together are breathtaking. Forget the pain. Forget the sorrow. I am abundantly blessed. No more “Her life looks great.” My life looks great. So I took a break from social media. Instead of taking a few minutes to scroll, I started looking through my own photos at night. 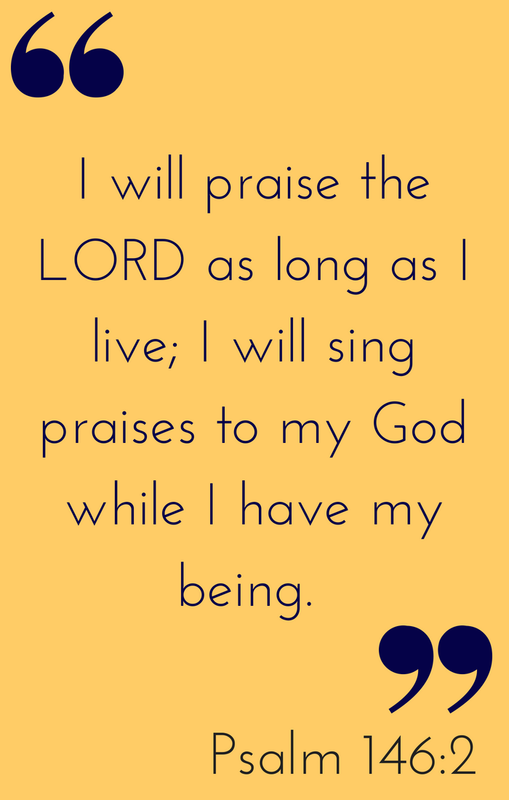 Praise filled my thoughts as I meditated on God’s goodness toward my family. Honestly I was hooked. Meditating on the good moments refreshed me. Study after study confirms what God’s Word has told us--thankfulness is key. Gratitude produces joy in us. So, my Sweet Sister, do you struggle with envy at times? Do you need to look at your own blessings and stand in awe of how God is working in your own life? I pray you find the joy and strength there to do well another day....Or to start fresh another day. As Betsy reminds us, “Every day counts”, and you have what you need to do it joyfully dear Mama. Posted on December 14, 2018 by Stephanie Hickox and filed under Building Your Faith and tagged encouragement. My in-laws live on a 200-acre farm in southern Kentucky. My favorite time of year to visit them is in the fall because the southern heat and humidity have eased and the rolling hills are yellowed with drying hay and bean crops. When I can get myself out of bed at a decent time, I like to take morning walks along the paved driveway between the farmhouse and the main road. It’s a pretty and serene walk as the road rises and falls with the land. As I was walking one morning last fall, I looked down at the side of the driveway and was so intrigued by what I saw that I stopped, took off my head phones, and knelt down for a closer look. Growing up through the asphalt was a plant. Through the asphalt! It was yellowed like the plants in the field next to it, but it was still growing. I took some pictures with my phone and continued my walk, marveling at the determination of the plant. I can be a pro when it comes to determination, too. I’ve gone through phases where I’m very determined to accomplish something. For example, I pursued my Masters for three years and even switched degrees part-way through when I realized that I didn’t really want an MBA; I wanted a Masters in writing. And when my husband and I bought our townhome in 2008, I spent hours poring over paint chips, curtain fabrics, and flooring samples. We redid the half bath and installed new light fixtures. We worked every night for weeks until we finished all the tasks on my list. On the other hand, there have been times I’ve set out to accomplish something and have started out strong and disciplined only to falter, then give up altogether. Case in point: I’ve struggled with my weight since college. I’ve lost and gained as much as 60 pounds twice just in the past seven years. I start strong and have at times kept up with a pattern of healthy eating and exercising for a year or more. But, inevitably, I allow life to derail me and now I’m the heaviest I’ve ever been and feel miserable. I also struggle to be consistent in my time with the Lord. A lot. I start strong, spending time in the Word, praying, and being conscious of my thoughts and temper. Then I trick myself into thinking that other tasks like a load of laundry are more important than praying. One misstep leads to another, I feel defeated, and then I give up altogether. It’s taken me a long time (an embarrassingly long time) to figure out why I’m successful in some things but not others. It’s because some are actual phases and some are meant to be life-long disciplines. Phases aren’t permanent routines – they’re temporary. Life-long disciplines last for…well, a lifetime. Most people can stick with something when they know there’s an end point – even something as fun as decorating my new house was sure to feel cumbersome if it lasted for more than a year. Many of us like to have a starting point and an ending point. We want to know how long we need to push and work because it gives us hope and encouragement. We know there’s an end so we can hammer through with determination and persistence until that end comes. But some things in life don’t have a stopping point that we can look forward to – we won’t have that specific moment when we know we’ve finished the task and can relax. My physical well-being won’t be perfected until I take my last breath. My spiritual well-being won’t be perfected until I take my last breath. I need to continually work in both areas of my life; I’ll never get to a point where I can or should stop working on them. Both my physical and spiritual well-being are vital. And yet, these are the two parts of my life where I’m the most lazy. That’s the plain and simple truth: I’m lazy. I’m empathizing more and more with Paul as I age. In Romans 7, he expressed sorrow and frustration over being divided within himself. His will was torn. Flesh versus spirit. Romans 7:19 says, “For the good that I want, I do not do, but I practice the very evil that I do not want” (NASB). While I may not be purposefully practicing evil, I’m still practicing it because I’m not doing what I know I should and can do. When I think about it that way, it’s very convicting. For me, it’s come down to this: I can’t think of my desire for a healthier body as a phase. And I can’t think of my desire for a healthier spiritual life as a phase. They’re disciplines. They’re lifestyles. So, now what? Now that I’m confessing this openly, I need to have a game plan. The first thing I need to do is to find what works – what type of eating and exercising regimen will I realistically stick to? And what kind of personal time with the Lord is most realistic based on how my days flow and where I’m at in terms of kids at home, work, etc.? A second thing I need to do is print the picture of that plant I found in Kentucky. The plant has taught me and continues to remind me that while it’s not easy, it’s possible to pursue physical and spiritual health for my lifetime. I won’t be perfect as I move forward, but I can and must choose to persist in doing what I know I should do and not doing what I know I should not do. Posted on August 22, 2018 by Tami Stevenson and filed under Building Your Faith and tagged perseverance.